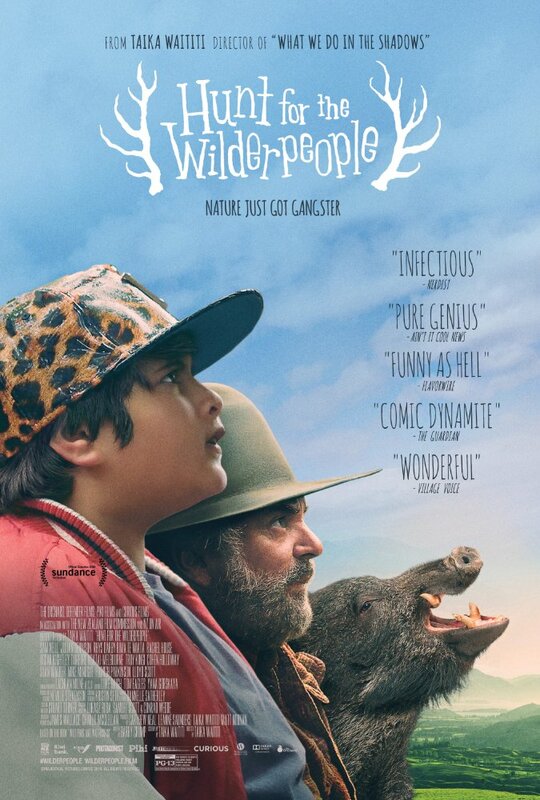 Hunt for the Wilderpeople reminded me a skosh of Moonrise Kingdom. It didn’t have the Wes Anderson flair, or anything close to it per se, but it had its own flair, and a spirit one could recognize in an Anderson adventure. And that’s the problem with Swiss Army Man. I disagree with the 90 minutes part of that statement, but it’s certainly the case that the filmmakers too quickly ran out of ideas. Again, I know not everything can be Being John Malkovich as far as inventing new ideas, but still, you have to continue on with your movie. 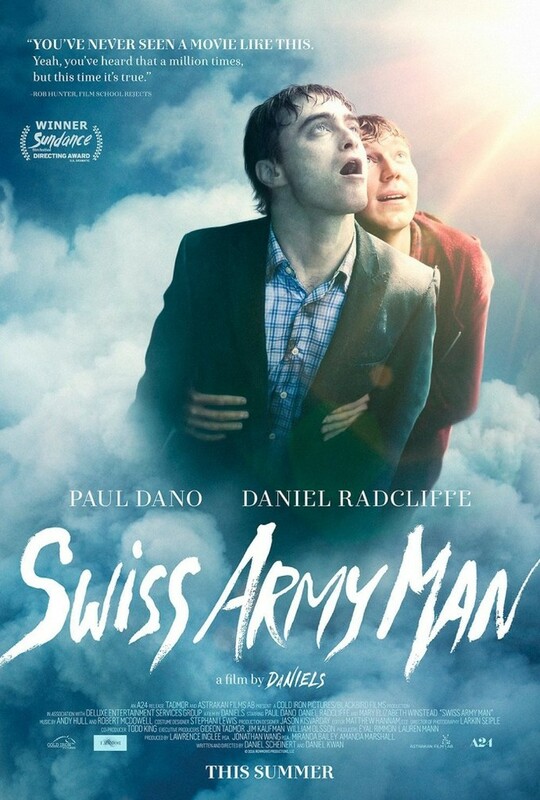 I can think of a number of interesting ways in which Swiss Army Man might have evolved, but the “Daniels” were content to stop short. Comparison Notes: the TV series The Greatest American Hero. It’s the 4th of July, after all. Note on the trailer: it gives away too much; watch at your own risk. Maybe think of The Neon Demon as a models’ Black Swan crossed with Maps to the Stars. Or not. The Times called it “ridiculous and puerile.” The only thing ridiculous there is calling it “puerile” — clearly, The Neon Demon went over that reviewer’s head. 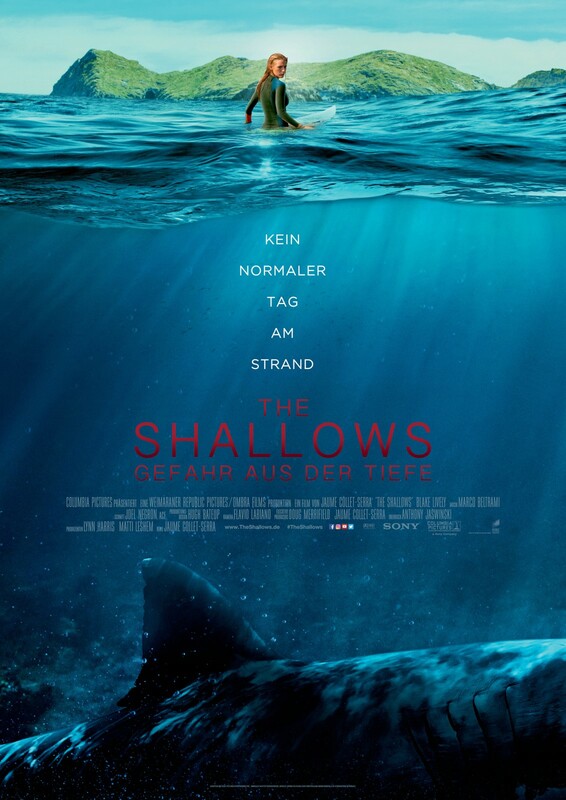 One who probably didn’t think The Shallows was ridiculous. In the shimmering Tinseltown gothic of Nicolas Winding Refn’s The Neon Demon, beauty is a commodity both precious and volatile, subject to runway trends and the ravages of age, with just a blemish, a wrinkle, or a sliver of fat separating today’s “It Girl” from tomorrow’s bus back to Indiana. …the mesmeric pull of The Neon Demon cannot be denied. It lures you in for the kill. Note: Though the Times slammed The Neon Demon as “puerile,” they contradicted themselves by featuring an “Anatomy of a Scene,” which I include below along with the trailer.